Quinoa is a highly nutritious gluten free grain. It contains more protein than any other grain, with a good balance of all 8 essential amino acids. Quinoa is also high in fibre and has a low-GI, keeping blood sugar levels stable. 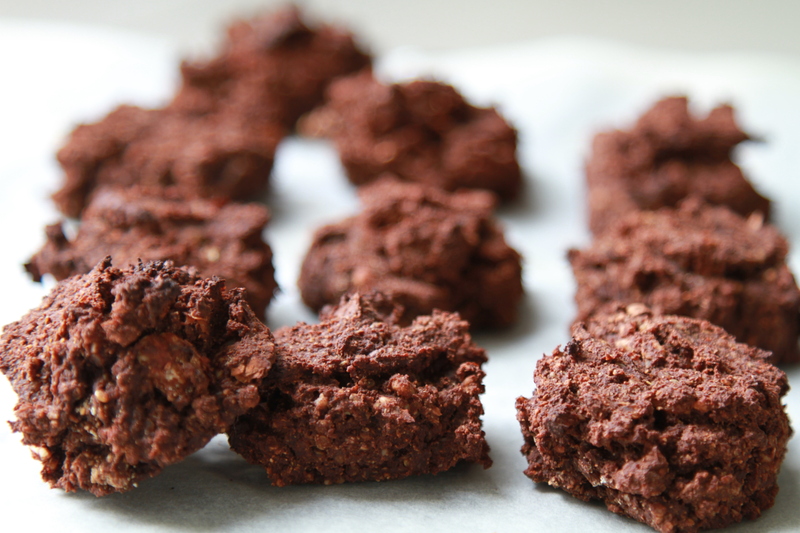 These are a great quick and tasty treat using only fruit to sweeten them. 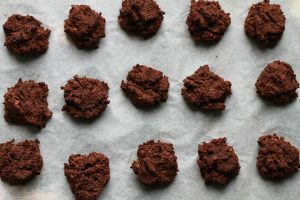 They are perfect for a wholefood healthy chocolate treat. Drain the cashews and almonds and rinse well. 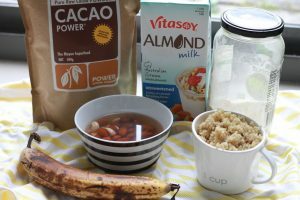 Add the cashews, almonds, cacao powder and quinoa to a food processor and blend until combined. Add the coconut flour and vanilla extract until all ingredients are incorporated. Place the mixture on a lined baking tray and bake for 30mins.